Jewel comes from a family with secrets. Even when her older sister vanishes, they don't tell anyone, especially not the police. It's really hard for Jewel to sit in school every day next to kids like Maya and Lily, kids who have happy, normal lives, and to pretend she's just like them. When things get really bad at home, Jewel doesn't ask for help. She does what her sister did: she disappears. Only, how do you do that when you're only 13? Jewel is very good at being invisible, but not quite good enough. When Maya and Lily start suspecting she's living in the school, the last of Jewel's luck seems to be running out. Will they tell? 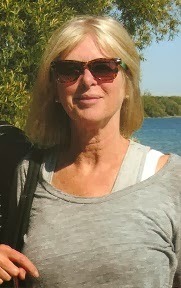 Maureen was born in Kingston, Ontario, left when she was 17, and now is back living in the house where she grew up on the St Lawrence. She is represented by the Transatlantic Agency. 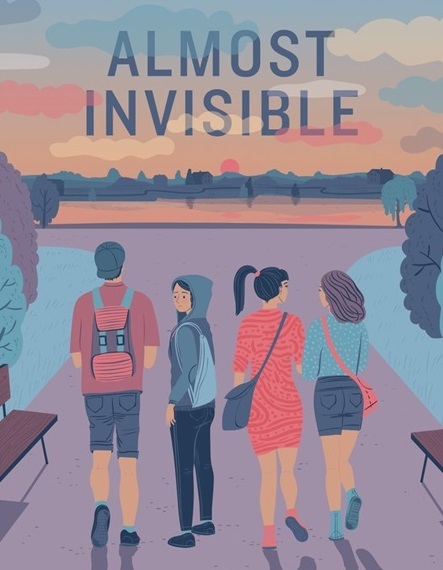 Almost Invisible, my new YA novel, is published by Groundwood/House of Anansi and is available at $16.95 at independent booksellers, Indigo/Chapters, and Amazon. Kindle version, $10.40. Withdrawn from Circulation, a literary mystery (Cowdy House, Kingston), is available through Novel Idea (email: novid@kingston.net), or through Amazon in paperback ($15) and ebook ($7) versions. George Johnson's War, with Mary Beaty, is published by Groundwood/Anansi and is available in paperback ($12.95) through Groundwood/ Anansi (also as an ebook at $9.95) or through independent booksellers, Indigo/Chapters, and Amazon. Lake Rules (a summer mystery) and Amy by Any Other Name, both YA titles originally published by Key Porter, are now available in paperback and as ebooks, through Amazon.com -- or contact me at garviem@queensu.ca.